Lighting components have no doubt become a necessity everywhere in the world today. Whether in your house, office, hotel or even on the streets. The essence of lighting can really not be underestimated. While the basic essence of lighting is to provide light for you and everyone to see clearly in the dark, there is a lot more to it. Lights are needed in different places for different purposes, they have a way of giving an amazing effect to a place. Lights can make a place look more beautiful and attractive. They can also give a place a serene look or the other way round. Whatever the kind of lighting it is, you can be sure that they can transform the look of your space at every point in time. They are the traditional light bulbs. One of the most commonly used indoor light bulbs are the “incandescent bulbs”. These bulbs are known to have 60watts or 40 watts. This bulb produces light when a thin wire is heated by electricity. Compact Fluorescent Light Bulbs: They are also called spiraled light bulbs. They are a better version of incandescent bulbs as they are considered to be more efficient. The lights are usually white and they do not get as hot as the indoor incandescent bulbs. Light Emitting Diode: They are called LED lights, they are the latest technological bulbs. They are regarded as the most efficient bulbs to date. Halogen Bulbs: Most times, these bulbs can be seen on the streets as street lights, spot lights or flood lights. These bulbs contain Halogen gas that makes the bulb extremely bright and last longer. As much as lighting is a big deal everywhere, there is also a need to get the right lighting accessories. On Jumia Uganda, you can find authentic lighting accessories that are reliable and durable and come at the best prices for you. If you usually have to read or study late into the night, then you should consider buying decorative table lamps. Just as the name implies, they are placed on a table in your room, sitting room, dining table, and reading table. 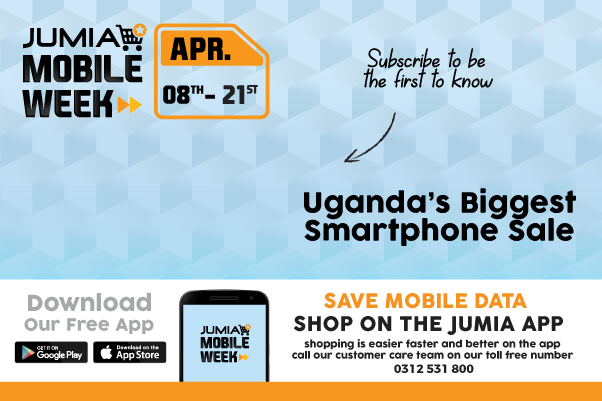 Shop for different types of lights on Jumia Uganda at the most affordable prices.